Apple has announced its best ever quarter with the iPhone chalking up 270,000 sales in its first 30 hours on sale at the end of June. The company is confident that it will sell one million of the devices by the end of September - a figure it took the iPod two years to achieve. 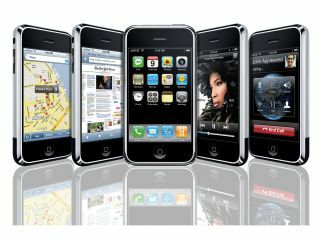 The company also revealed that it is spending a great deal of energy preparing for the European launch of the iPhone. Apple says it will announce partnerships with European mobile operators in due course. Other key numbers from its third quarter financial results, detailed today, include 1.764 million Mac sales, the best ever quarterly sales in the company's history. It says it sold 330,000 Macs in its Apple retail stores and that 50 per cent of its sales there were to people who were new to the Mac platform. Apple also said it sold 9.8 million iPods , and that it believed - based on initial sales - there was no evidence of cannibalisation by the iPhone. In other words, the iPhone is either an additional purchase or sales of the iPhone are to new customers who haven't bought an iPod before. The company said some users had experienced problems with activating their iPhones initially, but that these problems have largely been resolved. This helps explain the 160,000 activations AT&T reported earlier in the week - a figure that caused Apple shares to drop by 5 per cent after the numbers were announced. Apple remains confident of selling 10 million iPhones by the end of 2008, by which time the so-called Jesus Phone will have been launched in Asia as well as the USA and Europe. Apple also hinted at new products in the run-up to Christmas, but wouldn't go into specifics. "We're thrilled to report the highest June quarter revenue and profit in Apple's history, along with the highest quarterly Mac sales ever. "iPhone is off to a great start - we hope to sell our one-millionth iPhone by the end of its first full quarter of sales - and our new product pipeline is very strong."